How does one revamp a solar protection brand and define a differentiated positioning that allows it to stand out from the crowd? 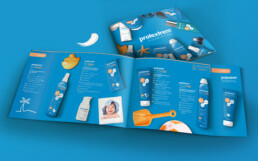 By taking its products one step further and elevating their function to more than just sun care. 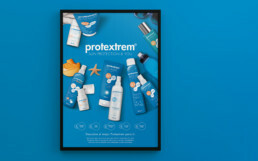 While it was also important to put forward the innovative technology of PROTEXTREM’s sun care – which allows to protect skin at a cellular level – we worked with FERRER to create products offering additional features answering specific consumer needs. Whatever the consumer’s specificity, there is a product that addresses it directly. 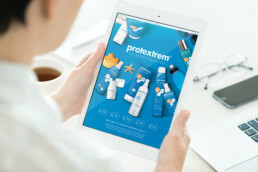 The result is a brand concept that succeeds in connecting with consumer through an insighted positioning, all the while remaining a functional and technical range. 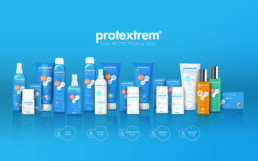 It is the idea that your sun care products don’t only work – they work specifically for you.